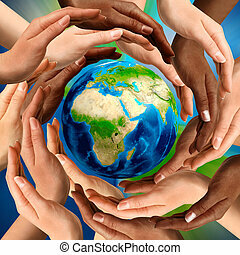 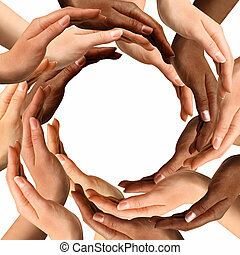 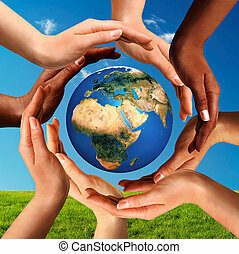 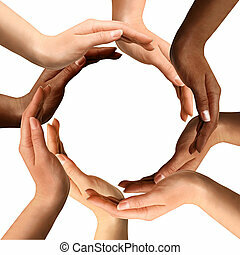 Multiracial hands surrounding the earth globe. 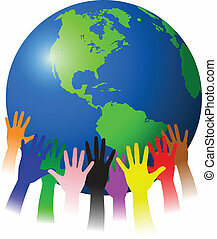 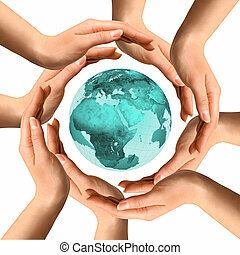 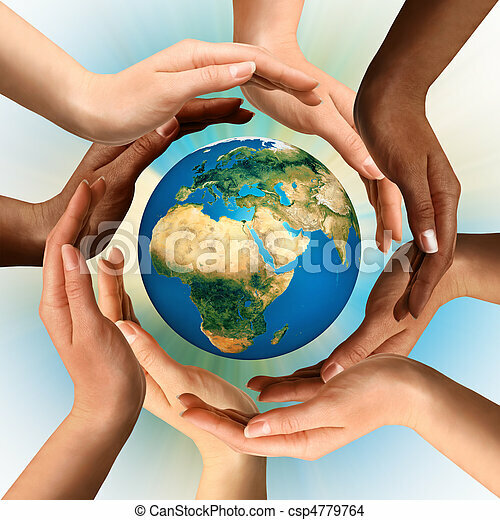 Conceptual symbol of multiracial human hands surrounding the earth globe. 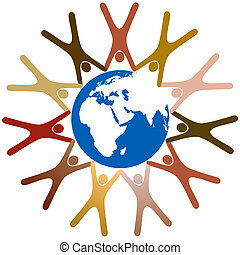 unity, world peace, humanity concept. 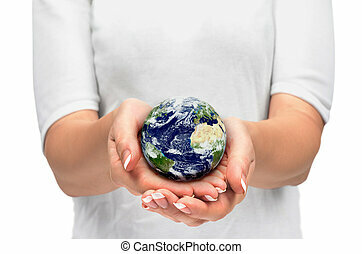 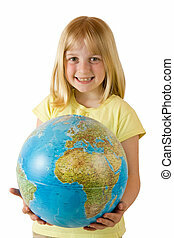 Hands Holding A Globe on cloud background. 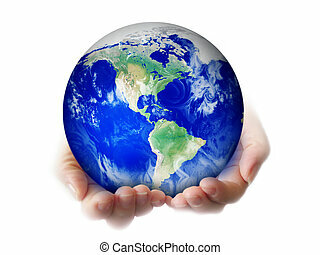 Planet Earth held in cosmic star space by invisible hands. 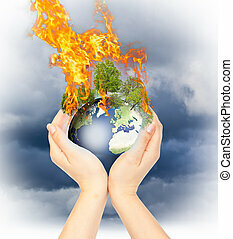 Womanish hands holding burning Earth as a symbol of global warming or an apocalypse. 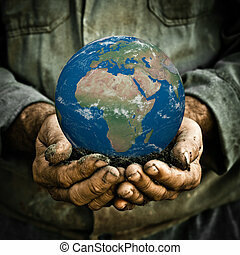 Hands and Earth. Concept of saving planet. 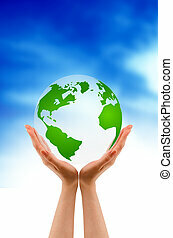 Symbol of environmental protection and conservation. 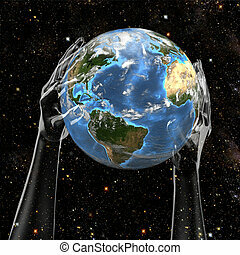 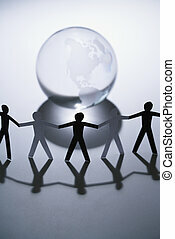 Black and white cutout paper people standing aroung Earth globe holding hands. 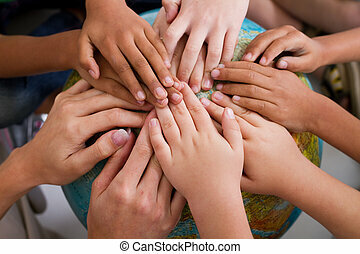 Diverse group of symbol people hold hands in a ring around planet earth. 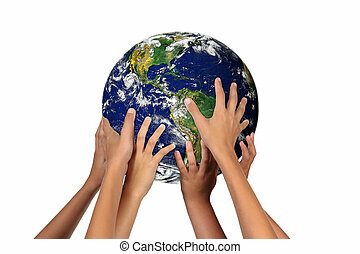 Conceptual symbol of the planet Earth surrounded by human hands. 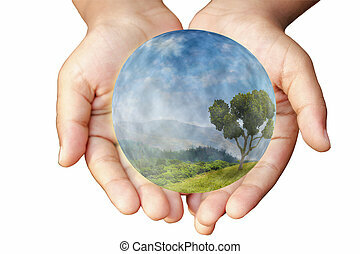 Environment and ecology concept. 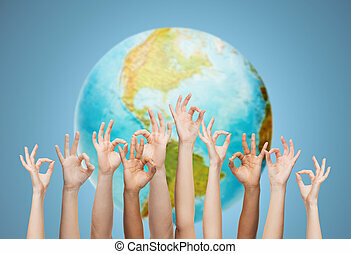 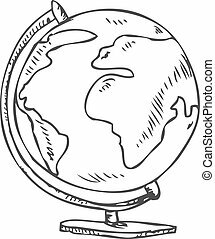 Conceptual peace and cultural diversity symbol of multiracial hands making a circle together around the world the Earth globe on blue sky and green grass background.